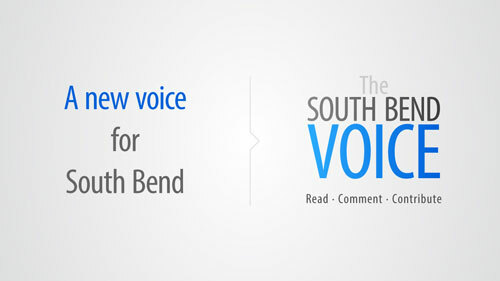 Welcome to the South Bend Voice Election Night Live Blog! We will be posting updates throughout the evening with all of the latest information on local races and key national races. Updated vote totals can be found on a separate page located here. We’re going to call it a night. Our coverage will pick up tomorrow morning. CNN projects that Republicans have won control of the US Senate. North Carolina put them over the top. Pat Roberts is going to hold on to his seat in Kansas. Combined with the likely Democratic loss of Iowa’s Senate seat, Republicans appear to have won a majority in the Upper Chamber. The question now becomes how large of a majority. CNN just called Georgia for the Republican Senate candidate. Along with Kentucky, this is another Southern race that Democrats hoped to pick up from the Republicans. Michelle Nunn had the right message with the legacy of her father, former senator Sam Nunn, but could not overcome the Republican wave. It looks like Mark Warner just survived the scare of his political life. He has taken the lead over Republican challenger (and former RNC chairman) Ed Gillespie. Cory Gardner has defeated incumbent Democrat Mark Udall. This is one of the seats that Democrats badly needed to hold in order to control the Senate. It’s the first Republican Senate win in Colorado since 2002. Illinois’ incumbent Democratic governor Pat Quinn is in trouble. Quinn is only receiving 63% in Cook County. He managed 64% in his 1 point win in 2010 over a weak Republican. The problem for Quinn is that Bruce Rauner is winning votes that went to third party candidates in 2010. Quinn is also losing all of the Chicago suburbs by larger margins. Ed Gillespie’s lead in the Virginia Senate race has narrowed to 6,000 votes. Very ominous sign for Democrats. Mark Warner — who is a former popular governor — was supposed to win this race easily. Republican candidates have swept the three major statewide races for Auditor, Secretary of State and Treasurer. Side note: worth pointing out that Pete Buttigieg lost in the 2010 Treasurer’s race to Republican Richard Mourdock in what was a landslide at the time. Buttigieg went on to win the South Bend mayoral race in 2011 and has become a rising star within the state’s Democratic Party. Losing a statewide race big isn’t always the end of your political career. Kay Hagan is holding steady in North Carolina 50-47 over state house of representative leader Thom Tillis. Hagan has tried to make Tillis’ record in the state house, where Republicans have passed a number of controversial measures. Republicans do not need to win this seat for a Senate majority but it would almost make it impossible for Dems to hold on to control with a loss here. Democrat Gary Peters will replace Carl Levin as Michigan’s next senator. Republicans had hoped earlier in the year to make this race competitive. An exit poll has Republican incumbent Pat Roberts up by only 3 percent over independent Greg Orman in Kansas. This is one of the few races where Republicans are playing defense. If Orman can somehow pull off the win, it would mean that Republicans would need to net 7 seats instead of just 6. Colorado exit poll has Republican Gardner up 4 points over Democratic incumbent Udall. Dems cannot really afford to lose this seat if they want to hold on to the Senate. Republicans just picked up a Senate seat in South Dakota. This is the third GOP pick-up in the Senate so far tonight. This race’s outcome was expected (also true in Arkansas and West Virginia). More troubling for Democrats is Senator Mark Warner trailing in Virginia. On the national level, Republicans have flipped their second Senate seat of the night. Arkansas has been called for Rep. Tom Cotton over incumbent Democrat Mark Pryor. Pryor did not even have a challenger during his last race in 2008. This is the second midterm in a row that Democrats have lost a Senate seat in Arkansas. Blanche Lincoln lost in a blowout in 2010. Big news for local Republicans. Representative Jackie Walorski has won re-election to a second term. The freshman incumbent was favored over Democrat Joe Bock. She has taken a 53-45 lead. All of the vote in the district’s largest Democratic county — St. Joseph County — have been counted. Walorski’s lead should expand from here. Democrats swept the big local races in St. Joseph County. 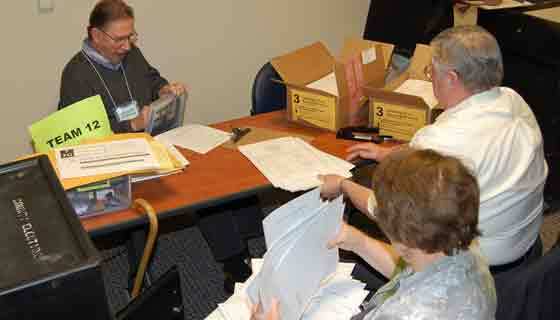 Auditor, clerk and prosecutor all go for the Ds. Democratic incumbents (and a Republican incumbent) also won. We have our first St. Joseph County Council race with all votes counted. The District B race between Corey Noland (D-incumbent) and Dennis Jordan (R) is separated by only 35 votes. A recount seems likely. CNN has called West Virginia’s Senate seat for Republican Shelley Moore Capito. West Virginia is one of three states where Republicans are expected to easily pick-up seats from Democrats. The other two are South Dakota and Montana. CNN has made an early call for Senator Mitch McConnell. Early results have him up 55-42 against challenger Alison Lundergan Grimes. Democrats had hoped to put this seat in play. McConnell is currently the GOP minority leader. He hopes to become the majority leader after the end of the night. The first results have begun to trickle in from St. Joseph County. Democrats hold early leads in all countywide races including an important race for prosecutor. No races have been called yet. Polls have closed in the eastern counties of Indiana and Kentucky. Both states have western counties that are in the Central Time Zone, so statewide results will not be available at least until after 7 pm EST. 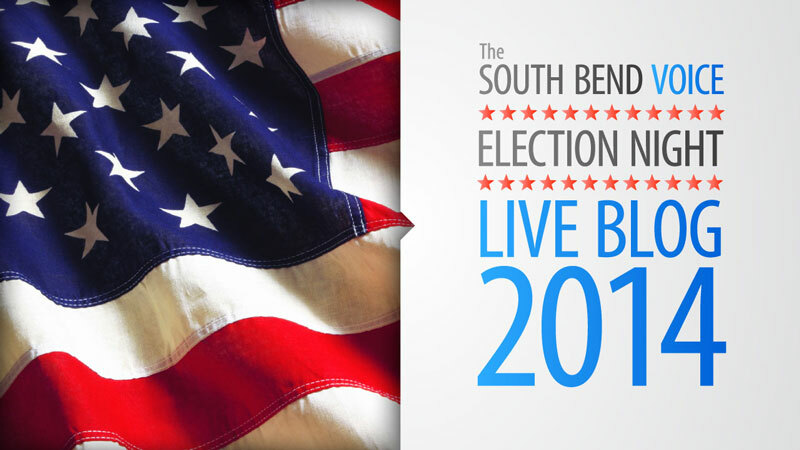 We should expect to see results for St. Joseph County races in the next 15-30 minutes. There are 36 governor’s races taking place across the United States today. 36 Senate seats (including 3 special elections to fill vacant seats) and all 435 seats in the US House of Representatives are also on the ballot. Senators are elected to six-year terms. The Upper Chamber — as it is called — consists of 100 senators, two from each state. Senate elections are broken up into “classes”. 21 of the Senate seats are being defended by Democrats. Republicans only need to defend 15. Going into Election Day, Republicans are favored to pick up several of the heavily contested Senate seats. Republicans must net a total of six seats in order to gain the majority. Democrats have a number of structural and demographic disadvantages that we detail here. Indiana voters go to the polls to elect a slate of local and state officials, along with representatives in the US House. The marquee statewide races are for Indiana Secretary of State, Treasurer and Auditor. All voters will get a chance to vote for state representative while some will have state senate races as well. State representatives are elected to two year terms in Indiana, while state senators are elected to four year terms. State senate elections are staggered — half of the state senate is up for re-election every two years. St. Joseph County voters will elect a slew of officials for both countywide and district level races. Competitive countywide races include Auditor, Clerk and Prosecutor. 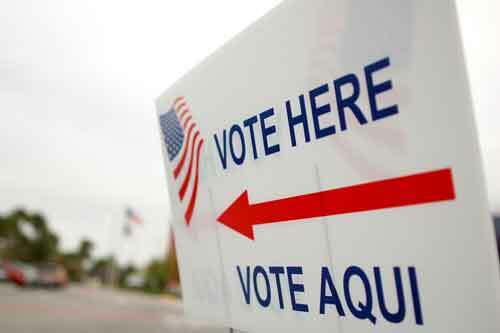 There are also a number of competitive county council and school board races on the ballot. The major national race for US House in Indiana is taking place in the 2nd District between Republican incumbent Jackie Walorski and Democratic challenger Joe Bock. Walorski won a nailbiter in 2012 against Democrat Brendan Mullen. Walorski lost in another close race in the Republican wave year of 2010 against Joe Donnelly, who is now a US Senator representing Indiana. Below we have the poll closing hours for each state, along with a map. All times are Eastern Standard Time. States with an asterisk have multiple closing times due to multiple time zones. Alabama, Connecticut, Delaware, Florida*, Illinois, Maine, Maryland, Massachusetts, Michigan*, Mississippi, Missouri, New Jersey, Oklahoma, Pennsylvania, Rhode Island, South Dakota*, Tennessee, Texas*, Washington D.C.
12 a.m. & 1 a.m.